Hilary has gone out in a blaze of glory. Given that Mishael Morgan had announced her departure from the show, there was little doubt that Hilary would survive. The tragic nature of her death was played up to the utmost degree. I have to admit, I've never seen anyone drink champagne in an ICU before. I am not a fan of Shauna. Her character is annoying and she is a troublemaker. By running away, Shauna set off the chain of events that led to Hilary's death, yet she had the nerve to put all the blame on Lily. She also confronted Lily at the worst possible time and she disrupted Hilary's funeral. In the first place, however, Cane was wrong to hide the truth about Lily running the red light. He was trying to protect Lily, but he only made the situation worse for her. Of course, Lily was very careless. Of course, she shouldn't have allowed herself to get so distracted that she ran through a red light; but she didn't do it purposely. She didn't murder Hilary. Why would she have risked her own life? Why would she have risked son Charlie's life, as he was also in the car? Why does Shauna have to play the blame game anyway? Hilary's death was a tragic accident, caused by negligence. Hilary called it an "accident" herself. Devon shouldn't play the blame game either. However, his anger is understandable since he is grieving. I am disappointed that Mischael Morgan has left the show, although I am glad that another actress will not be playing the role of Hilary. Since Mishael is pregnant in real life, I wonder how she felt when she had to portray Hilary losing her baby. I'm curious as to what will happen to "The Hilary Hour" and GC Buzz. Mariah can't fill Hilary's shoes as host of the shoe. Hilary had the right personality for the show. As Jack declared at her funeral, "Hilary was made for television." However, Devon wants Mariah to host the show for now. That scene at Top of the Tower with Nikki, Princess Victoria and Snowflake Summer grovelling over Victor Newman made me nauseated It was sickening the way they bowed down at King Victor's feet. After all that grovel, I needed some Gravol for my sick stomach. Things are going too well for Arturo and Abby. There has to be a complication. Dr. Nate is single and unattached. I wonder if he'll take a shine to Abby? I don't think he's met her yet. The Newmans and Abbotts are very impressed by social status. Abby may like the idea that he's a doctor. On the other hand, maybe she's had enough of doctors after her bad experience with Dr. Stitch. Here's who I think is more likely to become involved with Dr. Nate. According to Soap Central, Y&R has put out a casting call for the role of "Candace," a single 30-something African-American woman. "Candace" is an executive from Chicago with a background in science, so she'll probably show up at the hospital. Here are some comments from Carly in Barrhaven, Ontario. The Y&R writers have a weird imagination. I thought Nick wearing the J.T. mask was so stupid. I like Nick and Phyllis together so I would not have a problem with her trying to get him back. As for Jack's father, that is a mystery. But at some point, I thought it could be Mr. (Stuart) Brooks. I am not disappointed that Hilary is leaving the show. Her character was so irritating. But I am disappointed that Ashley is leaving. I would imagine they will replace her character. Yes, Carly, I think they could have resolved the J.T. mystery in a better way. As for Nick and Phyllis, I have to disagree with you there. I like Nick and Sharon better together and I am not a fan of Phyllis. I find her nosy and bossy. The identity of Jack's biological is still a mystery. It's been on the backburner for a while due to Hilary's accident and death. However, I think it's going to be front and centre again soon. I don't think that the late Stuart Brooks was his father. It wouldn't have much impact on the storyline. We also disagree about Hilary. I liked her and I am disappointed about Mishael Morgan left the show. However, we agree about Ashley (Eileen Davidson). I too am disappointed that Eileen is leaving the show. How about the action on Y&R! Hilary's last scenes were quite emotional and Kleenex-worthy. Poor Lily, though. She is going to be raked over the coals. I get the feeling that Shauna will be the new Hilary in town. Charlie had better watch out as she provides emotional support to Devon. Summer is the queen of shamefulness. I'm sure that Nick and Phyllis will "twist" again in the near future. I think Phyllis mentioned she had to go to Chicago . . . watch Nick end up there as well for some Dark Horse business! Yes, Rosie, Hilary's death was definitely a Grade A tear jerker and Lily is being raked over the coals. I think Shauna may become more like Summer than Hilary. She may provide "emotional support" for Devon, the way shameless Snowflake is doing with Billy Boy. Devon has already asked her to stay at the condo with him. It funny how he puts all the blame for Hilary's death on Lily and ignores Shauna's part in it. Kyle spilled the beans to Summer about Phyllis and another man. Snowflake doesn't know the identity of the other man yet. but she will. You can bet she'll take advantage of the information to get what she wants - Billy Boy. By the way, Summer just used Kyle. She pushed him away once she found out the information she wanted. As for Nick and Phyllis, I think you are absolutely right. Those two will not stay away from each other. Things can't go perfectly for Nick and Sharon because Y&R is a soap. There has to be conflict. Nick has a cheating heart and he will not resist the temptation of Phyllis. He will eventually regret it, but it will be too late. He'll lose his chance with Sharon again. I think Nick is headed for a big fall, both personally and professionally. Victor will get the better of him, as he always does. Regular Y&R viewer, Fifi in Collingwood, Ontario, almost fell over laughing at one particular scene on the show. It was the scene where Jack burst into a discussion between Billy, Nick and Phyllis.with the question, "Is this a meeting of all the exes of Phyllis? They were all wearing sunglasses and Billy and Nick were trying to conceal bruises they received due to their their fight. Fifi thought Jack's comment was hilarious. I also thought so. 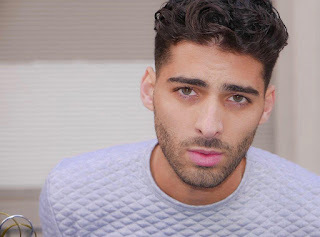 Good news for fans of Jason Canela, who plays building contractor Arturo Rosales.has been placed on contract on Y&R. On social media, Jason wrote: "I'm proud and honored to officially be a full time member of the Young & Restless family." I wish Jason well, but I am not a fan. Arturo is not a favourite character of mine. 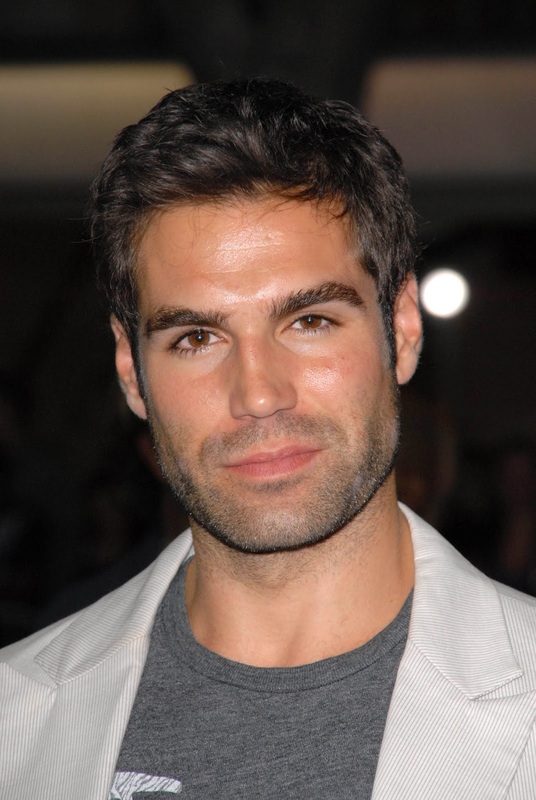 Jordi Vilasuso will join the cast of The Young and the Restless. The Cuban-American actor will play a mysterious stranger named Rey. Jordi has appeared on other soaps such as Day of our Lives and All My Children. Will his character compete with Arturo for Abby's affection. Jordi is scheduled to make his Y&R debut on August 17th CBS (August 16th on Global-TV in Canada). Is there a certain character on Y&R who really bugs you. Here's your chance to vent, fans. Respond to the poll below and let me know which character really annoys you. 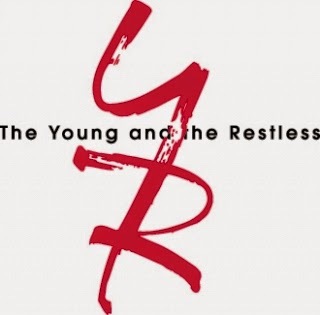 Which of these Y&R characters do you find the most annoying? That's all for now. Please remember that the next edition of Y&R Report will appear in this space on Saturday, August 18, 2018.